Make a Resume Home of the Make a Free Printable Resume! To make a resume or to not make-a-resume...That is the question! Think about it for a second. How many workers have you known or heard about that secured their job without a resume? Probably quite a few. The truth is that resumes aren't absolutely necessary. Yes, you heard correctly. The next question that come to mind is, why does eResumes4Vips.com even exist--what's the point (if resumes aren't really necessary)? The point is that jobs are hard to come by; gaining an interview is even more difficult--interviews lead to jobs--resumes are personal career tools. Resumes won't get you a job; on its own merits. Jobs are a people business. You get the job; employers hire (you) people rather than resumes. Which takes us back to the how-to make a resume question. Hands down...I'd say that the most important part to make-a-resume is to craft a Powerful Resume Objective Statement. The hiring officer is only going spend 1.5 split seconds scanning your resume (forget about her mentally scanning it). To grab the readers attention (in order to gain an additional 3.5 seconds), you must tell them what you want when you make a resume to gain a job interview. The next important pieces to make a resume include crafting a list of resume action words, selecting a resume template or choosing a resume format, and (last but not least) adding a resume cover letter. Your resume needs to go Snap, Crackle, Pop (without the milk, of course). Don't just write it up; work on it. Refine, refine, refine it. If your targeted job is in the service industry or is non-managerial (to get your foot in the door), there may not be a need to make-a-resume for that particular job. I also encourage you all to review resume writing books (yeah, I know...spending a couple of bucks on a book or two defeats the purpose...but keep open to the benefits and possibilities thereof). These tools may give you that one golden nugget to move you ahead of the pack. In order to make-a-resume for job hunting, your final product needs to be clear, concise, and error-free. Perhaps you may want to use an expert. Fortunately, there are resume help services out there, both online as well as offline, to help you create a resume. This website recommends three such services (as well as many others). Go to Free Resume Maker, Pongo Resume Maker, and this site's Free Resume Builder. I hope that you find these resume help resources to be of value. 1) Free custom editing and formatting of your resume by the Publisher. 2) Potential employers will see your resume and reach out to you via secure encrypted email. Winway Resume Deluxe makes resume writing easy! 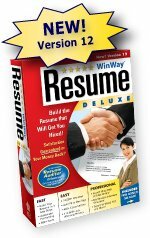 Last yet not least of eResumes4Vips' Student Resume resource endorsements is the Winway Resume Deluxe v12. WinWay's Resume Wizard takes the guess-work out of how to make a student resume in seconds. Simply choose a profession and fill-in the blanks. Don't start your resume from scratch. Simply enter the job title and let the new Resume Wizard find the closest matches from over 14,000 resume examples. Go through the wizard steps and fill-in the blanks. Watch your how to make-a-resume coming to life in front of your very eyes. Customize your resume further by adding specific information about your experience and skills. Winway Resume Deluxe v12 solves your write a resume how plus generates cover letters automatically...also auditing them for errors. WinWay(c) Resume Deluxe is the easiest and most complete job-winning system available. With it you can write your waitress-resume --track your contacts, write cover letters, and print associated envelopes. The (c)WinWay Resume Deluxe v.12 Resume Wizard creates your job-winning resume instantly. 14,000+ examples included! The (c)WinWay Resume Deluxe v.12Letter AutoWriter® writes persuasive cover letters automatically! 400+ letter examples included!